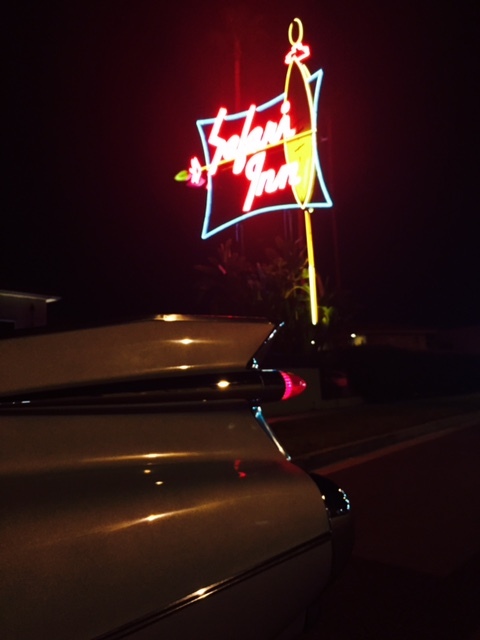 DESIGN AND CONCEPT... To create the missing link in the 59 Cadillac line up. 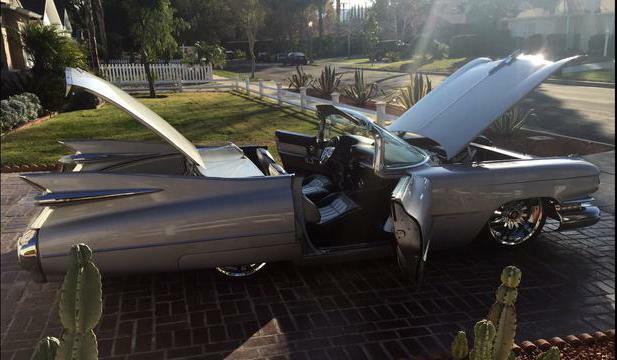 To create the Cadillac sports car that should have BEEN designed and built by GM’s Cadillac Motor Division! 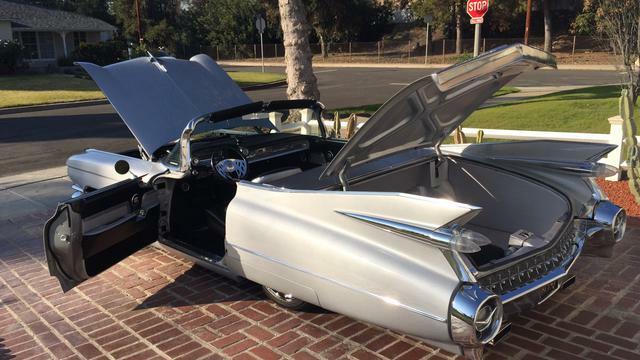 The Cadillac Cyclone was the concept car used as the precursor to the 1959 production Cadillac. 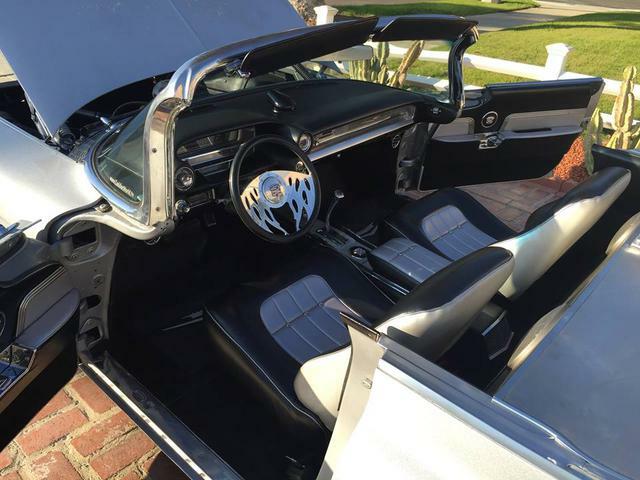 THIS IS NOT A CUSTOM CAR… it’s a RETRO-CONCEPT CAR! 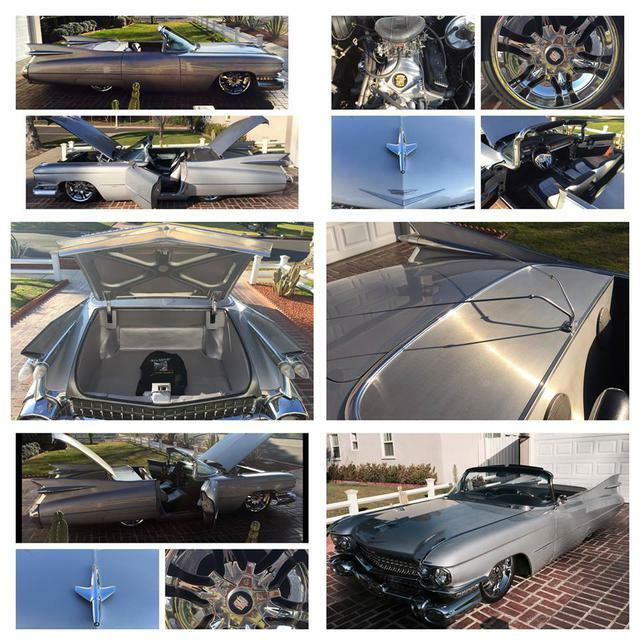 “THUNDERJET ROADSTER” is the cross between the actual production 1959 Cadillac ....and the Cadillac Motorama concept car. My goal in creating this version of the concept car that you see... was to create the Cadillac sports car that GM should have produced (in my humble opinion). 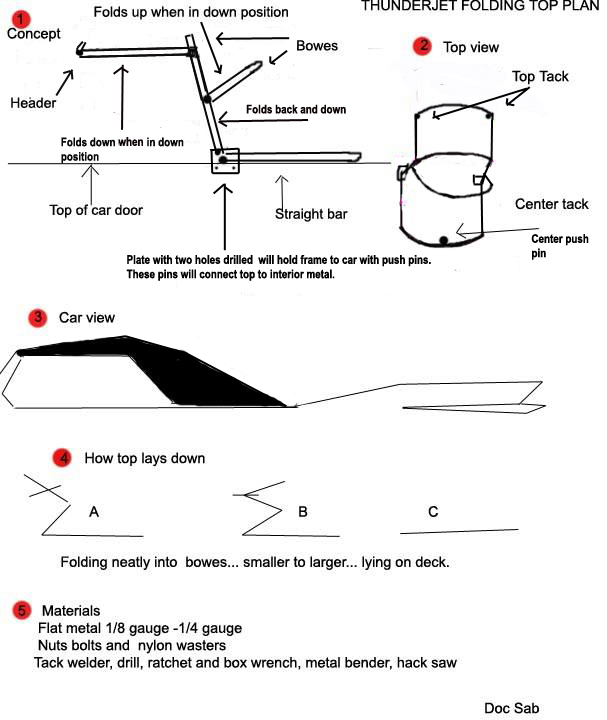 I had the idea in 1998, while sitting in a café in Venice discussing Cadillac design. I wanted to create a car that no one else in the world would have. So, I went home and drew the concept. 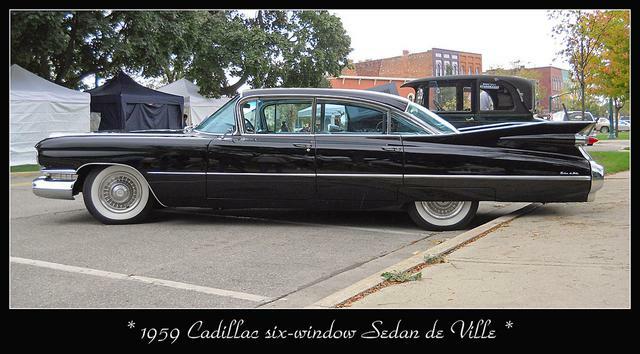 The car began life as a 4 door Sedan Deville, which was cut welded and sold as a hulk. 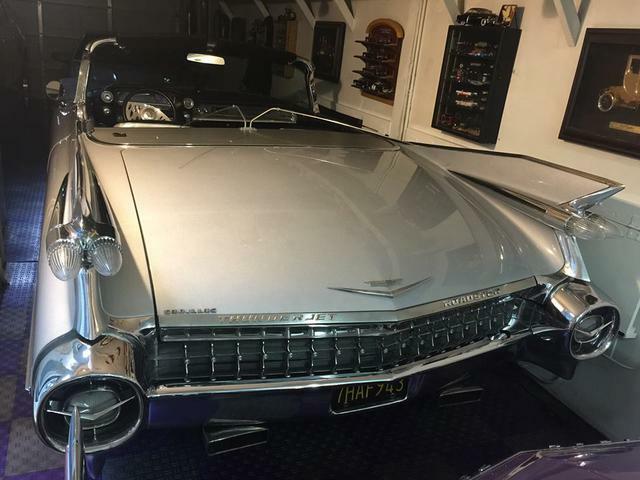 I lost track of it due to my garage being filled with 59 Cadillacs at the time. I had no idea where it went. The hulk sat that way for well over a decade until it finally resurfaced, and I was able to secure it, build and finish it the way I had always envisioned. 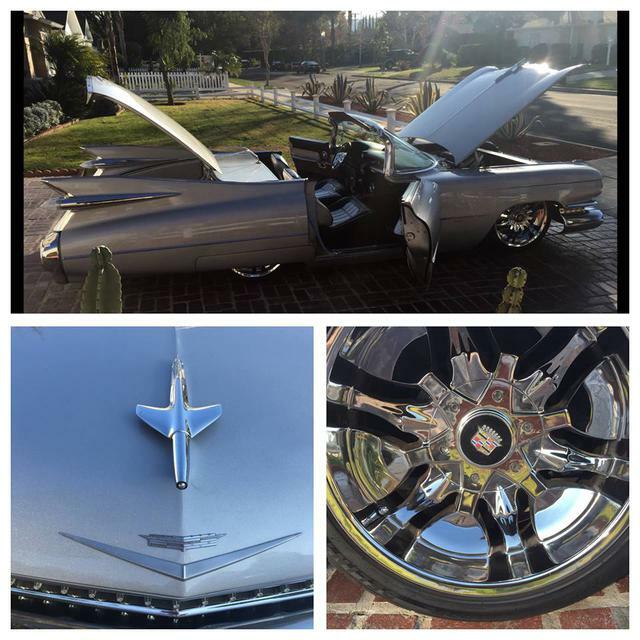 I took HEAVY influence from the 1959 Cadillac Cyclone, in order to create the car you see before you. This car has been shortened 34 inches. It is 1 inch shorter than a 79 Trans Am, and about 5 inches longer than a 57 T-bird or 69 Vette. The wheel base was 98 inches, but I decided to pull it out to 101 inches, 2 inches longer than a 69 Vette. Air suspension has been installed. 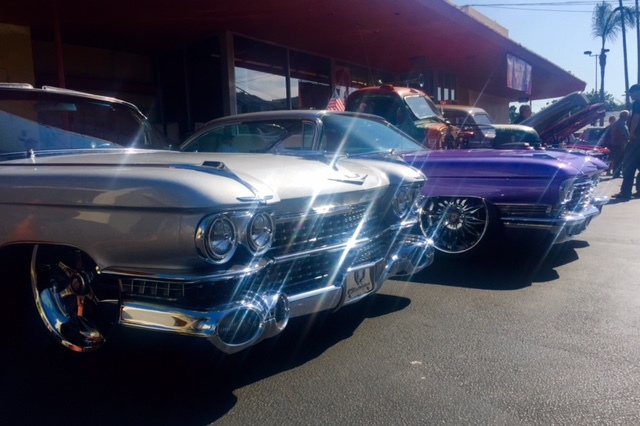 The front end of a 96 Cadillac Fleetwood was used as a front clip. 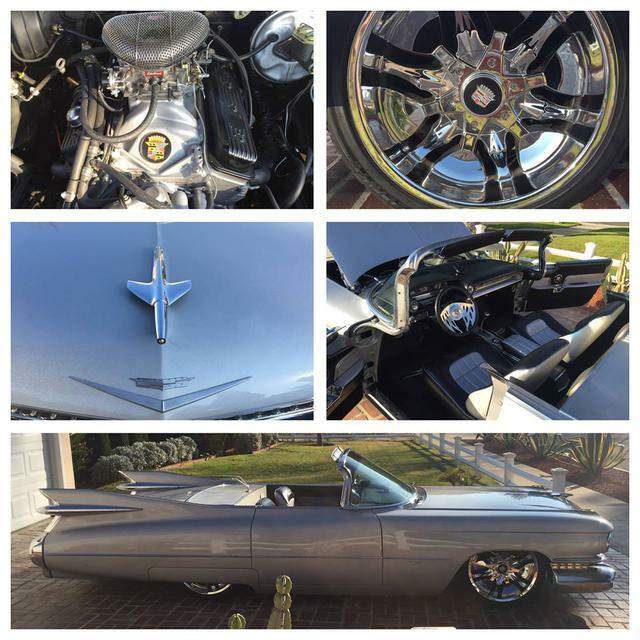 The 96 Cadillac LT1 was turned into a 500HP 383 Stroker motor. The transmission is a beefed up Turbo 350. 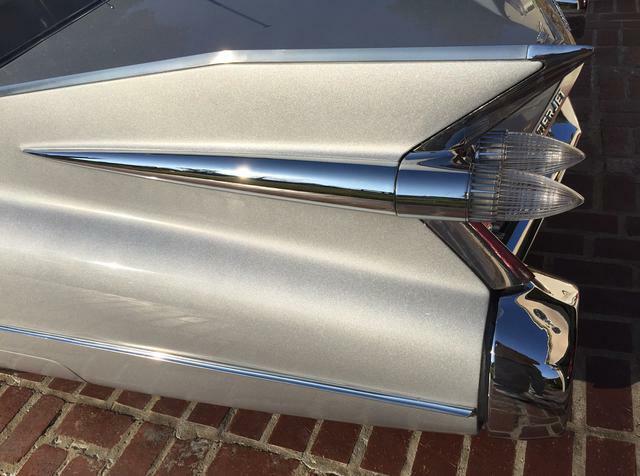 The frame was notched in order to create and allow for a low profile dual exhaust system with flame throwers. 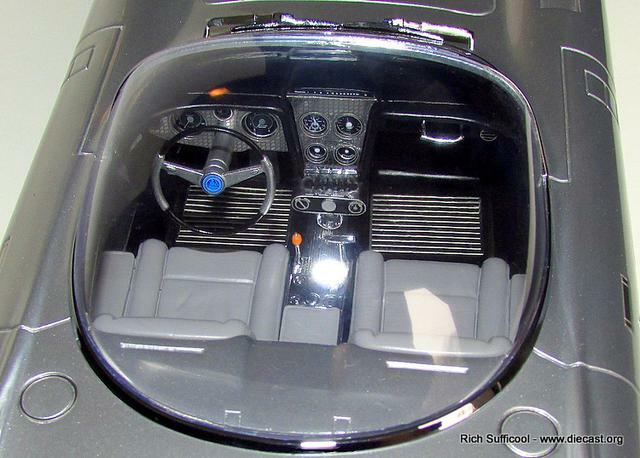 The windshield was shortened 2.5 inches. The vent windows were removed and then sculptured stainless pieces were cut to finish any raw edges. The entire windshield header and visors are handmade in order to recreate a factory look. 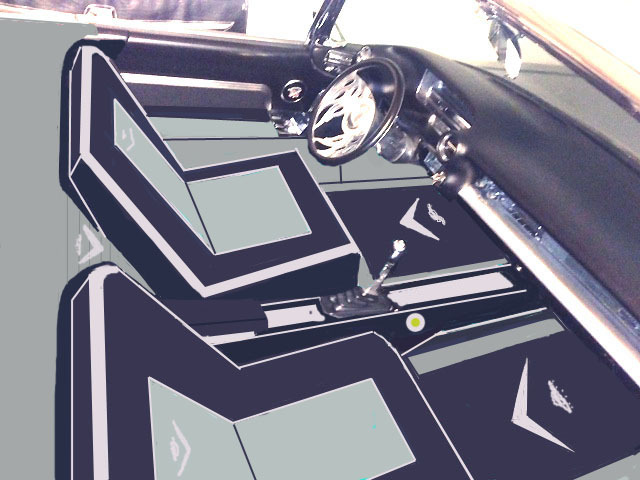 The console is from a 66 Charger and highly modified to fit. The seats are from a 60’s Ford, BUT, completely rebuilt and shaped for a comfortable and snug body fit. Many other features are incorporated into this concept in order for it to look factory. 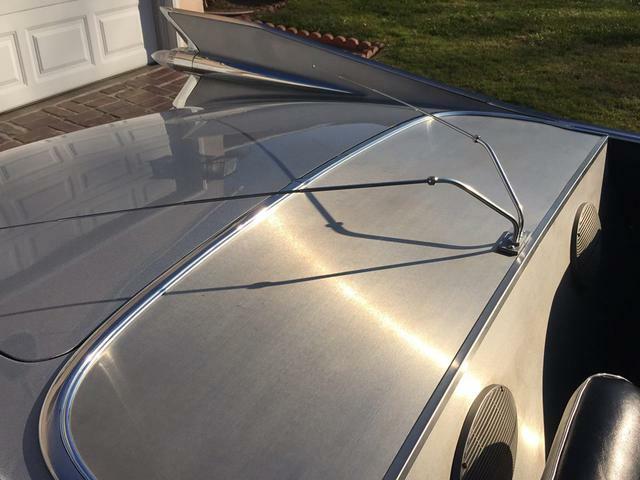 This includes all the stainless trim that was painstakingly cut and shaped to fit this car, because of the 34 inch reduction. A factory look was IMPORTANT…But, I wanted oversized wheels to create a Resto-Mod appearance… As though the car was brought to a modern look, after a restoration and driveline upgrade. All parts are period correct. Naming the car was also period correct. I remember thinking how GM named their cars.. For example…STARFIRE and JETFIRE …. And along those lines…. So,”THUNDERJET ROADSTER” seemed perfect, as it incorporated the jet look of the CYCLONE, and utilized the 50’s and 60’s naming style they were using at the time. 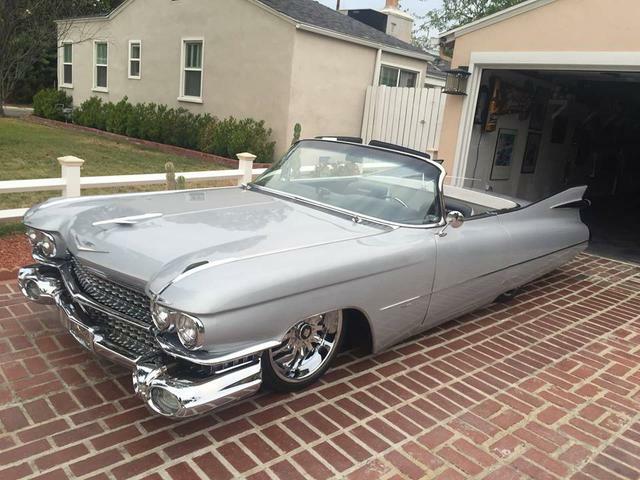 The 1959 Cadillac is my favorite car. 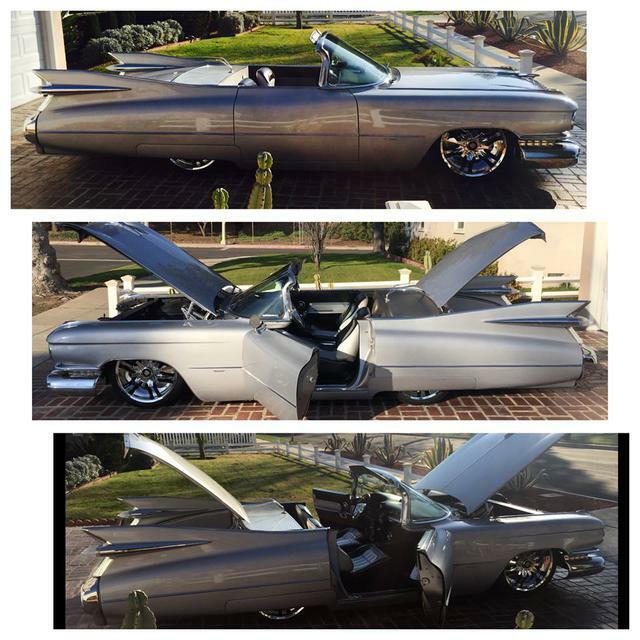 After years and years of restoring these rare and expensive Cadillacs as the factory made them, I decided one day I would do a 59 Cadillac the way I would want it…. And, the way I felt GM SHOULD HAVE MADE IT. 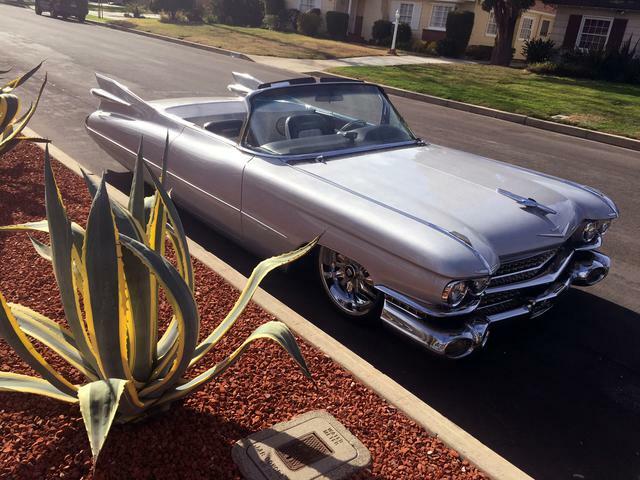 What you see… is the ONLY sports car 1959 Cadillac on THIS planet. I hope as you see it, you can appreciate the concept and enjoy the visual appeal. The concept drawing from 1998. This is the model car we started with.